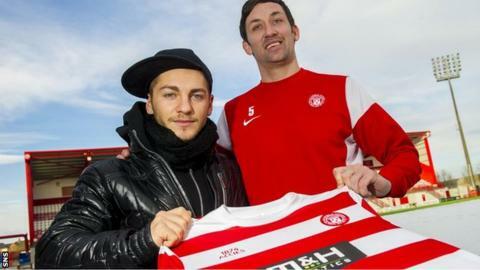 Hamilton Accies have agreed a contract with Nico Sumsky after the 21-year-old Czech midfielder was allowed to leave Slovakian club Dukla Banska Bystrica. Sumsky has played for his country at youth level and was with Monaco and Cannes as a teenager and in Argentina. Before joining Dukla in the Slovakian top flight, he had spells with Bohemians Prague and Parma. Sumsky has agreed a one-year contract with the Scottish Premiership club subject to international clearance.